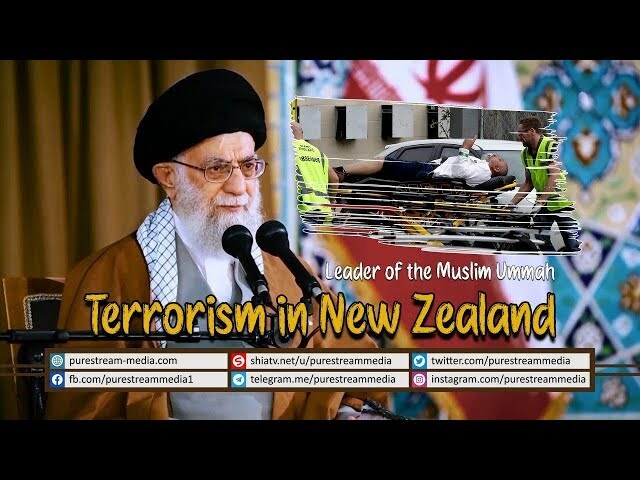 Imam Khamenei, the Leader of the Muslim Ummah, declares the attack on worshipers in New Zealand as a Terrorist Attack. Why is it that the Western governments, Western media, and Western politicians shy away from calling any attack on any Muslim to be a \'Terrorist Attack\'? Look at what the American backed zionist regime of israel is doing to the Palestinians! Look at what the American backed Saudi regime is doing to the Yemenis!